Long have I struggled with myself if I should buy myself a case for my iPad. Given the fact that I barely use it and I'm generally very careful with my belongings, there wasn't really "the" need to have one. Plus, most of the models available have all been rather underwhelming and expensive if you ask me. 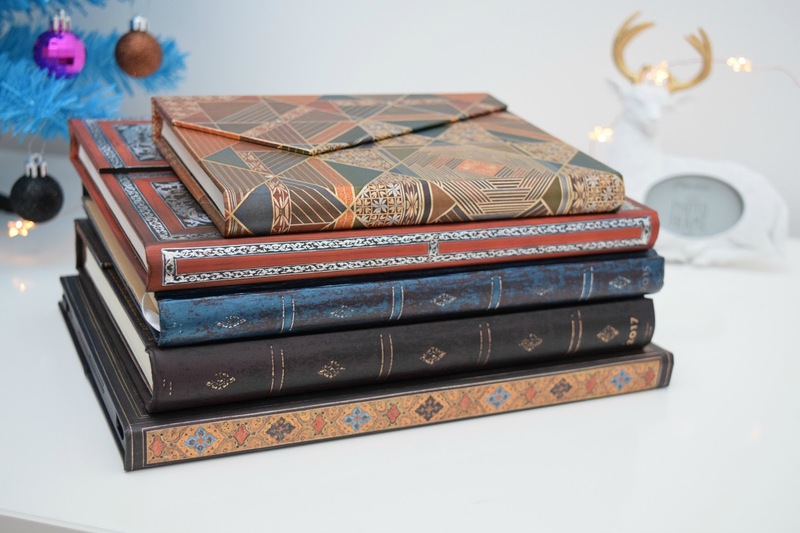 However, when Paperblanks released the eXchange series in autumn 2015, it was VERY hard to resist. The unique composition of an everyday item such as the case and Paperblanks' unmistakably signature print inspired by old manuscripts and world literature, remains a beloved all-time classic to me that not many stationery brands have achieved. eXchange launched and I saw myself drooling over those tablet jackets but the heavy price tag of £50 kept me from buying. What do they say about the things we don't buy? Those will hunt us the most for the rest of our lives. An end had to be put to the misery this year, so my time came around when the Black Friday sale arrived. Hello 20% off! Not much, but still a nice touch to get a few £££ off the purchase. Fast forward two days and the eXchange Shiraz iPad Air tablet jacket together with an Edgar Allan Poe 2017 diary arrived fresh from Germany. My first impression? OMG. Literally OMG. It's not even a case - NO, it is a tablet jacket. 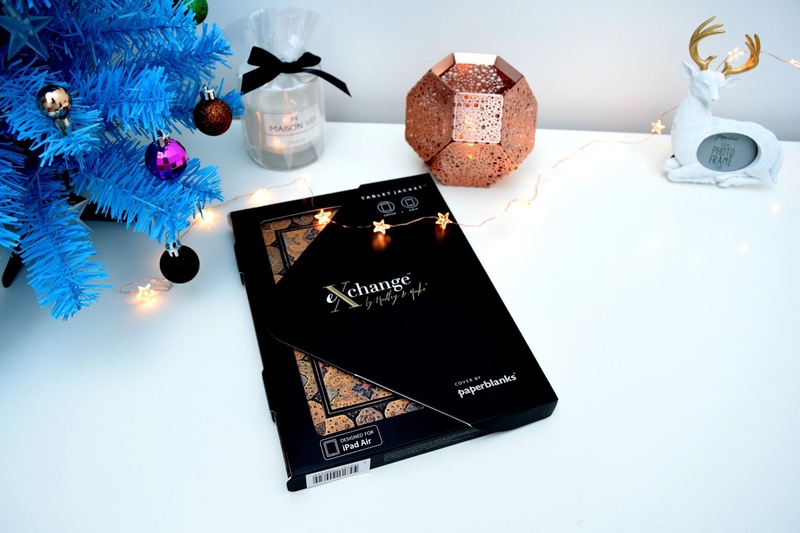 The jacket itself was wrapped in this classy, yet stylish packaging that had a magnetic clasp such as the famous Paperblanks Journals themselves. Alone the packaging got me massively excited. The actual tablet jacket is absolutely gorgeous and of such high quality, it is unreal. 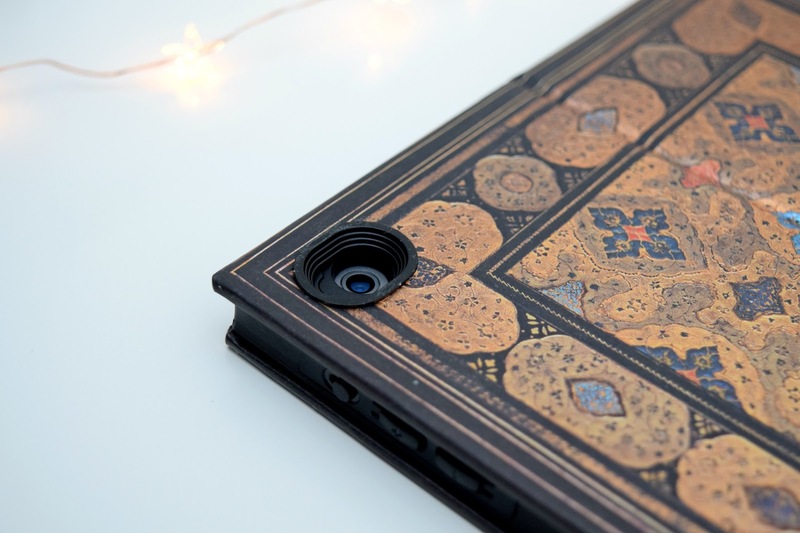 The hardcover is in true Paperblanks style: I opted for a medieval manuscript, a colourful cover that reproduces a 16th-century Islamic bookbinding that was originally crafted from painted and embossed black goatskin. 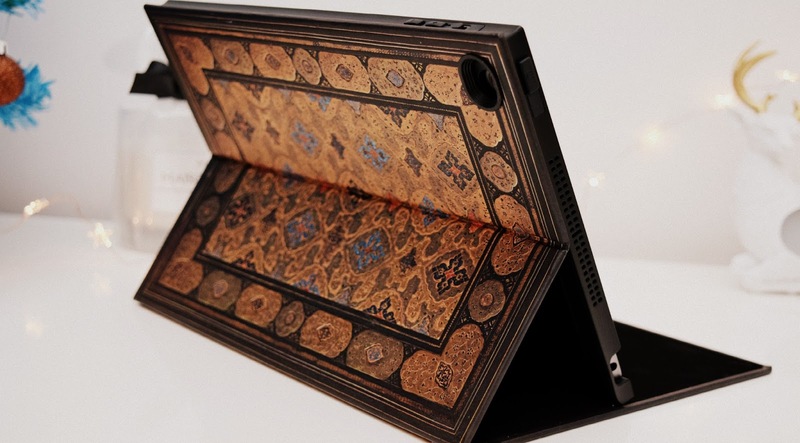 The ornaments and enriched details are incredible and from the outside, it looks like a book rather than an iPad case. The solid material is scratch and spill resistant. 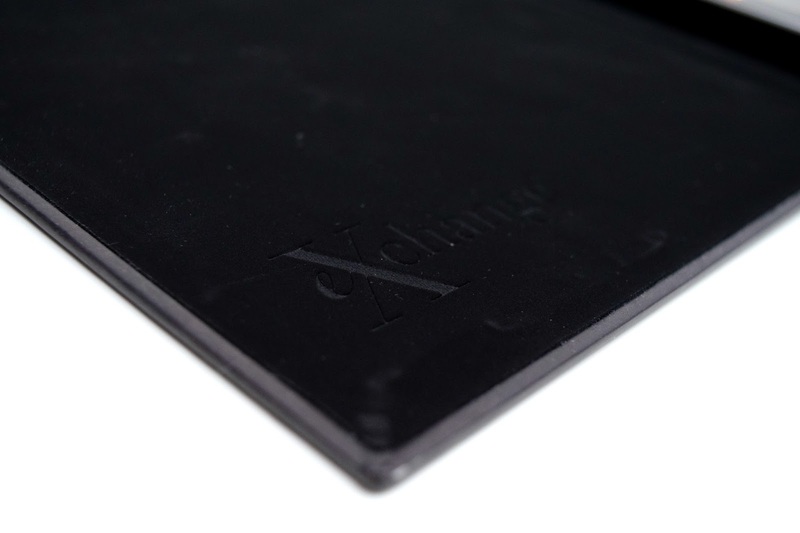 It's so robust that it will protect the iPad in case you drop it accidentally. The iPad itself sits securely thanks to a high technology click system that allows the gadget to be positioned safely within the case. On the side, there are slits for optimal air ventilation, a slot for your headphones, a camera hole, as well as power and sound button protectors. The interior of the eXchange Shiraz is lined with a super soft material. In the corner is a subtle eXchange logo embossed, branding the tablet jacket with an exclusive touch. You can also bend the back if you prefer your iPad standing up front. The end is magnetic to the case to allow perfect hold and security. Nothing can slide, it all sits and holds perfectly in place. 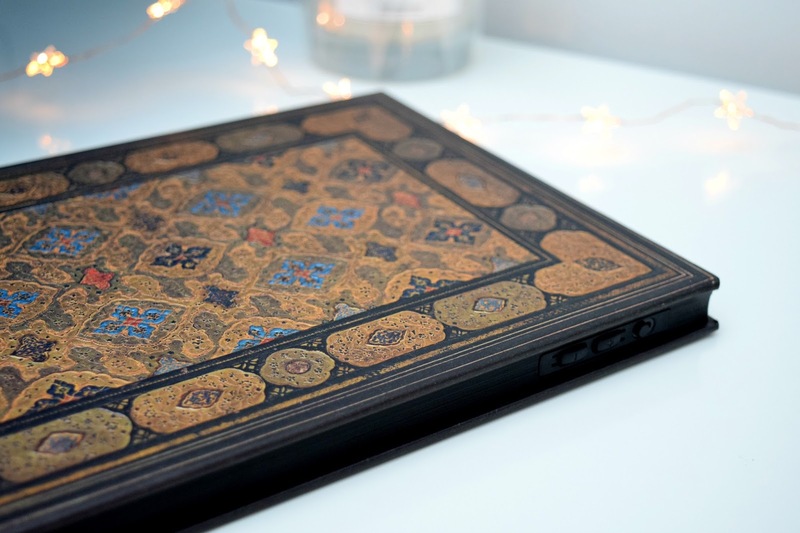 Ahhh I could never get tired of the sophisticated designs and timeless styles of a Paperblanks product. In fact, I've been hoarding their journals for years now, collecting them just for the sake of their outstanding beauty and to appreciate them in my bookcase. Use them? I could NEVER do that, unlike the diaries which I do actively use until they fall apart. Here's just a small glimpse of my Paperblanks collection - can you spot the Shiraz? 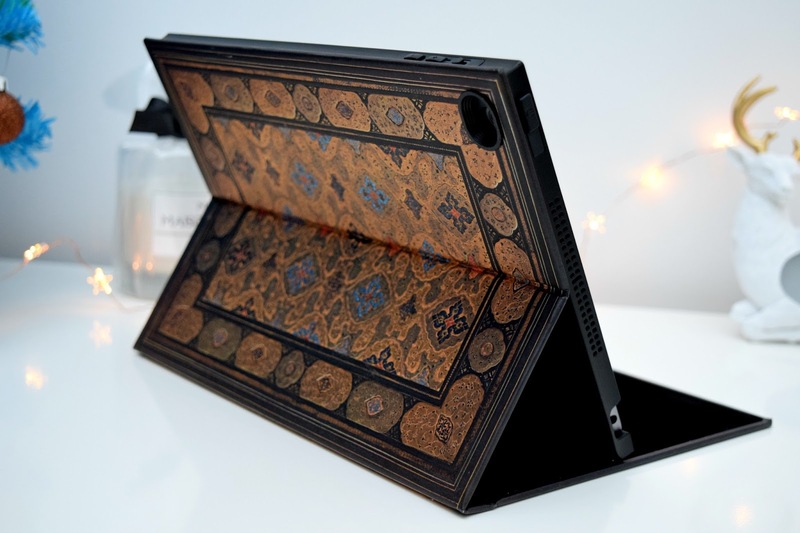 Thank you so much for checking out today's lifestyle post including my eXchange by Paperblanks Shiraz tablet jacket for the iPad review.